Home » Christopher Plummer , Editorial , Kevin Spacey , Ridley Scott » How Ridley Scott Failed to Remove Kevin Spacey from "All the Money in the World"
How Ridley Scott Failed to Remove Kevin Spacey from "All the Money in the World"
Ridley Scott’s “All the Money in the World” was a movie destined to be forgotten. It wasn’t one that many were interested in seeing initially. With a release date two weeks after “Star Wars: The Last Jedi,” and in-between “Jumanji: Welcome to the Jungle” and “Pitch Perfect 3” a week later, this wasn’t something that was going to stand out in a crowded holiday season. Amid movies with Oscar potential, the studio behind the film saw only one potential award within reach: Best Supporting Actor for Kevin Spacey. 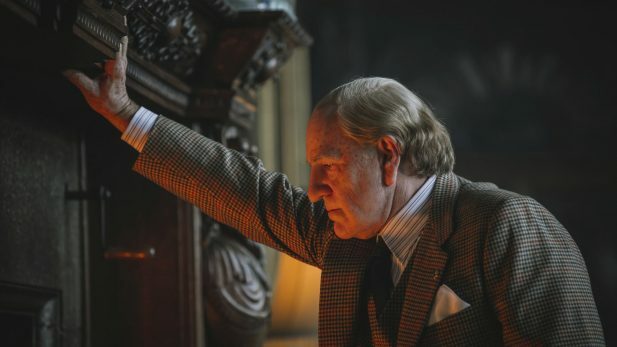 The film flew so much under the radar, that YouTube film critic Chris Stuckman admitted that he “wasn’t even aware [Ridley Scott] was making [“All the Money in the World”].” The movie, in short, was in danger of coming, going, and being forgotten. Then disaster struck as Kevin Spacey – who many at the studio felt would be the main selling point of the film – had a public falling out with multiple sexual assault allegations. In some ways, this might have been a blessing, as “All the Money in the World” all of a sudden received a ton of free publicity. This was partly because Netflix cancelled multiple projects involving Spacey, and many wondered if the public disgracing of the two-time Academy Award-winner would drag this movie down as well. Scott, it turns out, either didn’t want to find out, or (more likely) decided to use the publicity to his advantage with a unique marketing idea: He would recast Kevin Spacey with Christopher Plummer, spend millions of dollars on reshoots, and have it ready in time for it’s December 22nd release date. He ended up missing that deadline by three days, but ultimately, he pulled it off…sort of. Spacey was out, Plummer was in, and “All the Money in the World” would move beyond the controversy and be judged by its own merits, without being weighed down by Spacey’s baggage. The problem is, Scott wasn’t successful in removing Spacey from “All the Money in the World” completely. In fact, quite the opposite happened: Spacey now dominates the movie more than he did when he was actually in it, and by trying to remove him from the film, Scott may have created a bigger long-term problem than he realized. First, we should childishly point out that for all the noise Scott made of removing the actor (and doing it seamlessly), he wasn’t able to truly pull this feat off. A bust of Spacey is briefly seen in the final shot of the movie. Multiple scenes have Plummer clumsy digitized into a scene he clearly wasn’t supposed to be in (or, worse, has his head imposed on Spacey’s body). Most hilariously, Spacey himself still appears in at least one shot near the beginning of the film (pay attention to him getting off the train in Saudi Arabia). All of these things make Scott’s claims of being able to completely scrub Spacey from the film more talk than anything (though, in all fairness, it’s still a pretty impressive job when you take the time crunch into consideration). Now, this is the more humorous side of the point I’m trying to make. If you think the major problem Scott had was leaving in a few digitized heads and two shots of Spacey, I’m sorry to say this is not what the title of this post is referring to. No, the reason Scott failed in removing Kevin Spacey from “All the Money in the World” is that, for better or worse, Spacey has (ironically) become the face of the movie. Ridley Scott was very disturbed by the allegations made against Kevin Spacey (as most of us were) and, not wanting to associate with the man (and potentially have that man drag down his movie), decided to do something drastic to disavow it from the actor. The problem is, when he made the announcement it had the opposite effect. While it should be noted there was much excitement over removing the alleged “pervert” and replacing him with a much classier actor (one who starred in “The Sound of Music” none-the-less) was a great story, the story eventually came around to how it would happen. Once it was described how it would happen there were questions if the Spacey version would ever see the light of day. When Scott claimed that he didn’t want that version released (despite it being in the can) there was curiosity on how Spacey’s performance compared to Plummer’s. Throughout all this, most critics are missing a very crucial point: Ridley Scott failed to remove Kevin Spacey from the conversation. Aforementioned critic Chris Stuckman noted that it was a good idea to replace Spacey, as his presence would have been “a distraction” from the movie. The irony of that statement is that Spacey STILL is a distraction for the movie! The fact that he brought it up in his review proves it. Heck, I haven’t read a single review that hasn’t brought up the fact that Plummer’s role was originally played by Spacey. I haven’t written a review myself yet, but when I do you can be sure I will discuss Spacey and how he was cut. The original trailer for the movie floats on YouTube and has more views than the later ones, as people desperately try to see what Spacey’s interpretation of the performance would have looked like. Heck, for all the negative publicity the man has had in the news, there is no telling if people would actually opt NOT to see a movie with Kevin Spacey in it (“Baby Driver” is still a favorite on pay per view, and we’ll have to see if “House of Cards” survives a Robin Wright led finale)! Most (if not all) of the current interest in “All the Money in the World” is because Kevin Spacey was cut from the film. To deny his performance being seen is just creating more curiosity about it. Plummer is receiving some awards love because of the statement Scott was making by replacing Spacey, but the man they wanted to distance the movie from overtook the conversation despite all this. What’s more, if Scott decides to keep the Spacey version locked in a vault, his ghost will forever haunt the film, and that’s all people are going to be talking about. In short, Scott failed and we all need to admit that. In his quest to distance the movie from Kevin Spacey, he unintentionally made Spacey the star and focus of the show. To keep that version of the movie hidden means the movie will only be judged in this light. 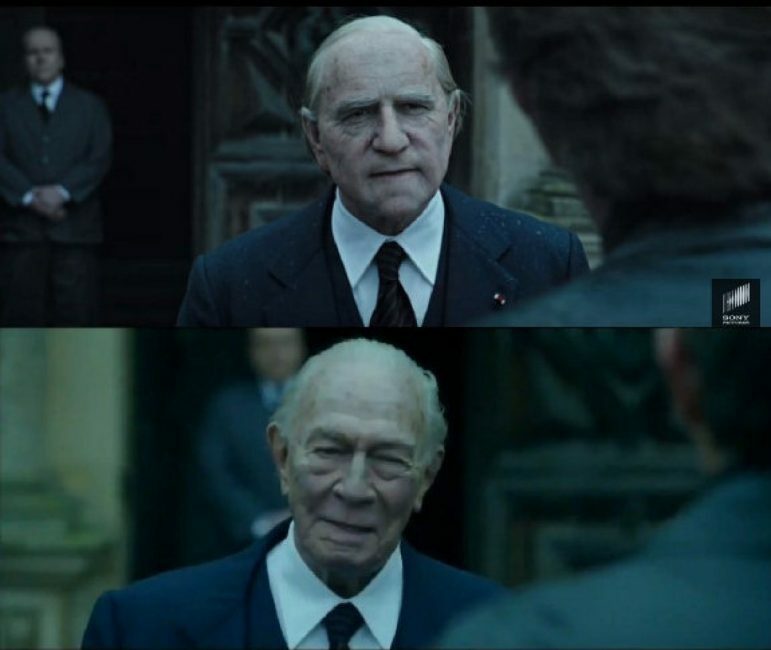 To take the narrative back, when it’s time for “All the Money in the World” to be released on BluRay, it needs to have both performances on it, where people can willingly choose to ignore Spacey should they choose. Only then, I believe, will the public (and press) stop focusing on Kevin Spacey, and instead just talk about the movie (which, in my opinion, is pretty good all things considered). Oh, and if you think people will eventually move on and have no interest in seeing the Spacey cut of the film…well, I want to remind you that people are still counting down the day they can see “The Day the Clown Cried” with Jerry Lewis. A shot of the (now cut) Kevin Spacey performance. Daily Short of the Day: "Out of Sight"